Hearing the much dreaded words “you’re fired,” brings a whole whirlwind of questions, fears, and uncertainty – either to come before or after the outrage you might feel upon being told to clean out your desk. How many unemployment benefits do you qualify for? What will you do for bills? When are you going to start sending out the resume again and how do you make sure it sticks? How soon until job hunting itself seems to turn into a full-time, thankless job? Sure, the first few days you can spend sleeping in and watching TV as you plan your comeback, but now science has brought up yet another concern. Losing your job changes your life, that’s for sure, but a closer look suggests that it might change your mind and your brain too if you find yourself unemployed long enough. A new study conducted by researchers at the American Psychological Association (APA) recently concluded that the effects of extended unemployment reach beyond the individual and their family in question – with consequences that are psychological and impact the individual in a number of socioeconomic ways for the long term. According to the research, long periods of unemployment may cause the individual to be less open-minded, less conscientious, and less agreeable, all traits that can potentially make it more difficult for them to find work again. The researchers’ findings are a startling revelation for psychologists who long believed that people have fixed personalities that more or less remain the same throughout their lives, while giving weight to the theory that external forces can also greatly impact our own basic personality. In order to conduct the study, Christopher J. Boyce, who serves as a research fellow at the University of Stirling of the United Kingdom, along with his associates did an analysis of data taken from a survey done by the German Socio-Economic Panel Study, which have been cited in a number of clinical research efforts. They focused in on the responses of 6,769 participants, all residents of Germany, who had each undergone a personality assessment twice in four years, between 2006 to the end of 2009. During that period, approximately 3.1 percent of the total participants included in the study had been unemployed throughout the study’s entire four-year duration. An additional 3.7 percent of the applicants had been jobless periodically, each episode lasting for never more than several months, as they were quickly able to secure employment afterwards. The research team looked at the survey answers, bearing in mind that the survey had been designed with the basic five personality traits used by psychiatrists to evaluate their patients — agreeableness, conscientiousness, extraversion, neuroticism, and openness. They then used the surveys to determine whether or not any personality changes evident over time on the survey were in any way related to unemployment – something that typically awards a significant amount of points on the Holmes and Rahe stress scale. With each survey, the researchers took into consideration how long the individual was jobless, already studied differences in gender, and also the levels of reemployment, before they came to their conclusions. Gender certainly proved to be a factor as well. In instances of chronic unemployment, men retained higher levels of agreeableness throughout the first two years of their unemployment, compared against employed men. However, these levels then declined after the first two years. The level of agreeableness declined among women, however, for each year they were jobless. The longer the period of unemployment also had a positive correlation with low levels of conscientiousness for men. By comparison, jobless women were much more conscientious at the initial and latter stages of their unemployment, but did show signs of a lapse during the middle part. The researchers attributed this characteristic to be the result of women pursuing other activities to occupy their time with, an attempt to still feel productive throughout their unemployment. A similar relationship was shown with openness. Levels remained the same for men during the first year and then steadily declined for however long they remained jobless. Openness levels for unemployed women dropped throughout the second and third years, but after that, they went back to normal levels, which were reported in the 2009 assessments. Boyce published his study in the Journal of Applied Psychology. He said that his team’s findings are a demonstration of why people as a society so often stigmatize unemployed individuals, due to these unfavorable changes. The result is often a rather vicious cycle. 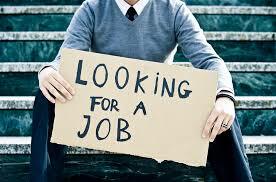 Even when these chronically unemployed people re-enter the work force, they may have a considerably more difficult time keeping a job, compared to those who were only unemployed for short amounts of time or have always managed to hold a steady job – one which can sometimes boil down to class differences. Studies have already showed the psychological effects that are often presented by poverty, and Boyce has called for state policy makers to take the new data into consideration.